Data? Who Needs Data? We've Got Graphs! 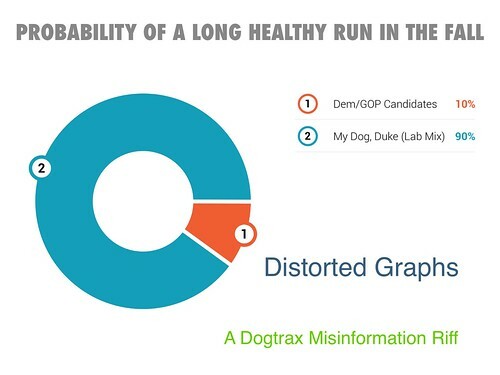 So, I have been having more fun that I have a right to have by making political-themed distorted graphs that have no data correlation whatsoever. I don’t even think or consider any numbers when making these. 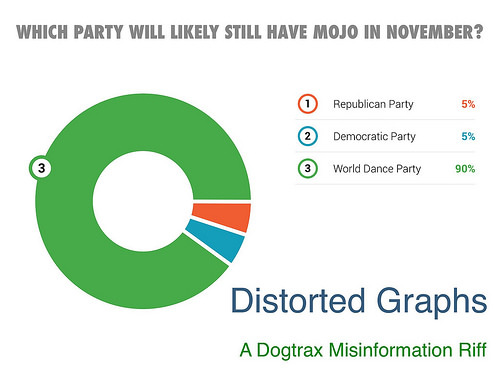 Who cares about data when you have cool graphs in a misinformation campaign! 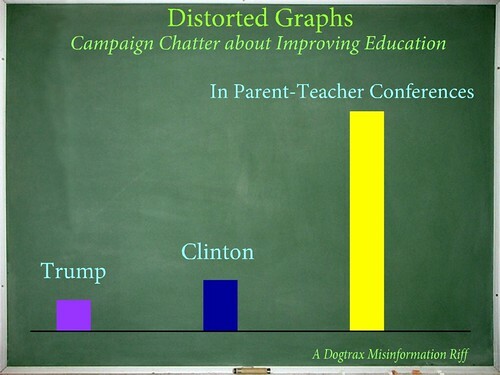 Actually, along a serious line of thinking, the making of Distorted Graphs (which was inspired by a Make Idea via the Letters to the President 2.0 project hosted by National Writing Project and Educator Innovator) has forced to think very visual when trying to make a satirical political point. I usually have a general topic in mind when I begin these, and then the decision becomes, what kind of graph format? Do I need a pie chart or a line chart or a something else. What visual will complement the satirical? I’ve been using a combination of apps to create the charts , including the chart creator built into Haiku Deck. It’s pretty, if limited. But limiting myself has been fine because it forces me to consider the content and message. I’ve shared some of these into the Letters to the President Twitter stream, but I have wondered, is that hashtag for students? I see some in there. 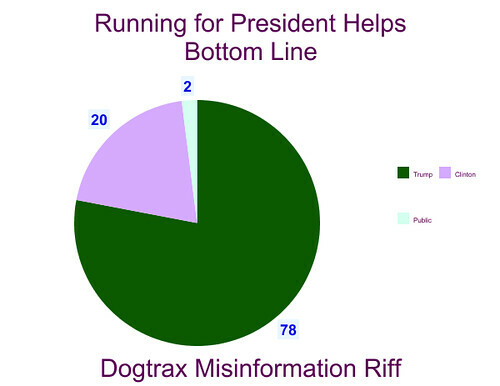 What are they thinking of this Dogtrax dude, setting forth fake graphs? I hope they make their own. 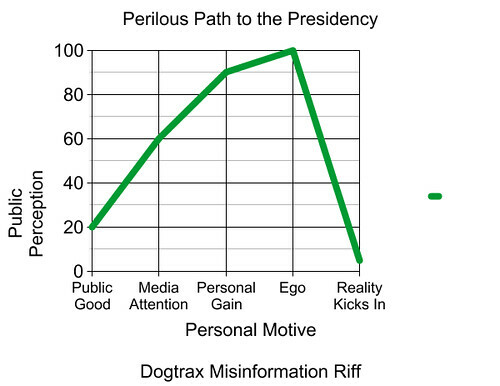 I was inspired by some of their real, true graphs. And I’ve been sensitive to my audience, however, and have avoided any profanity. When it comes to this presidential race, that has not been as easy as it seems. I’ll make more as I get inspired, and share them out when I can. 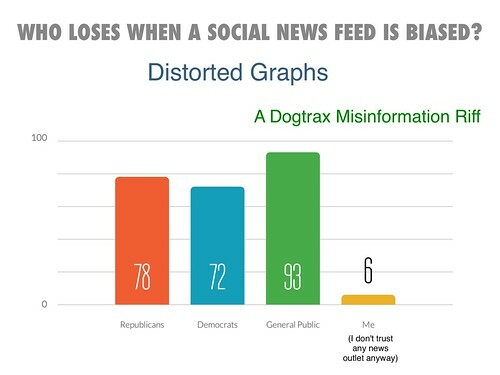 For now, just know that these Distorted Graphs represent the whole Distorted Political Spectrum, and like memes, offer another way to engage in discourse on the way the presidential campaign is unfolding before our eyes.